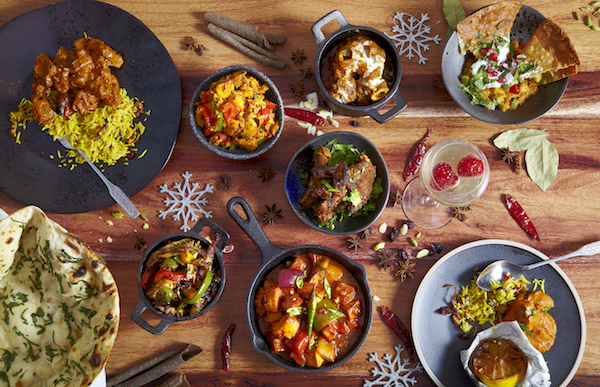 Celebrate Christmas this year with a modern twist and add authentic Indian cooking to your seasonal party at Zouk’s Manchester restaurant. Whatever you’re looking for this Christmas, Zouk has it covered. Zouk’s famous lunchtime Christmas Tiffin is full of tasty treats and is returning for the month of December by popular demand from 12pm-4pm and being upgraded for Christmas Tiffin (£10.95). Featuring premium dishes including Samosa Chaat, Butter Chicken and Lamb Laziz for meat eaters and Palak Tikka, Tarka Dal and Milli Juli Sabzi for vegetarians, all served up in a traditional Tiffin box based on those used by workers in Mumbai. 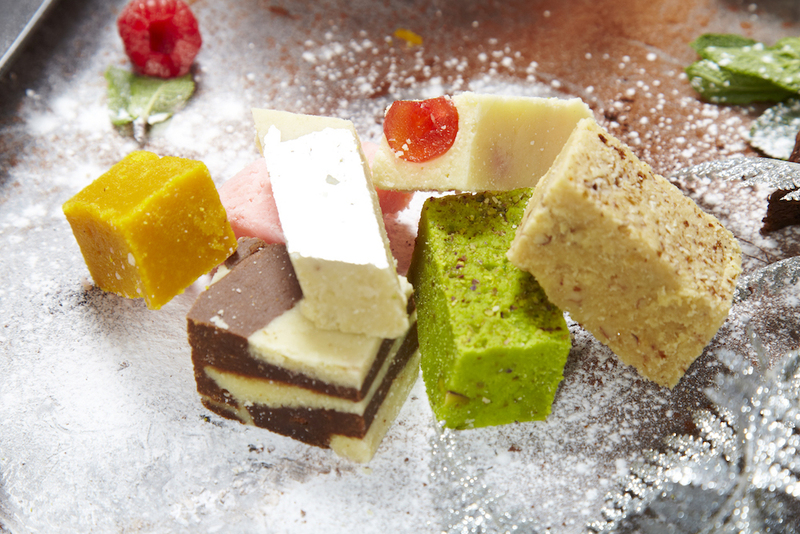 All Tiffin boxes are served with festive pickles, popadoms, zeera rice and naan bread to make this a delicious, satisfying treat, served speedily in your lunch hour. If you’re searching for a little variety, look to Zouk’s Christmas Party Banquet as your chance to try lots of different dishes and explore a party atmosphere with plenty to share. 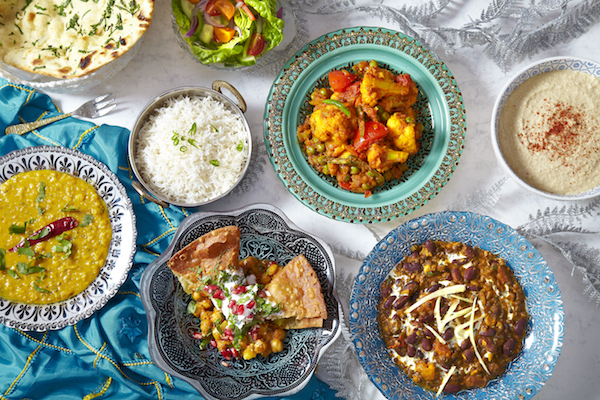 Divided into prices per head, menus start at £18 for a vegetarian set menu served as a Tiffin platter and including Tarka Dall and Asian Salad. 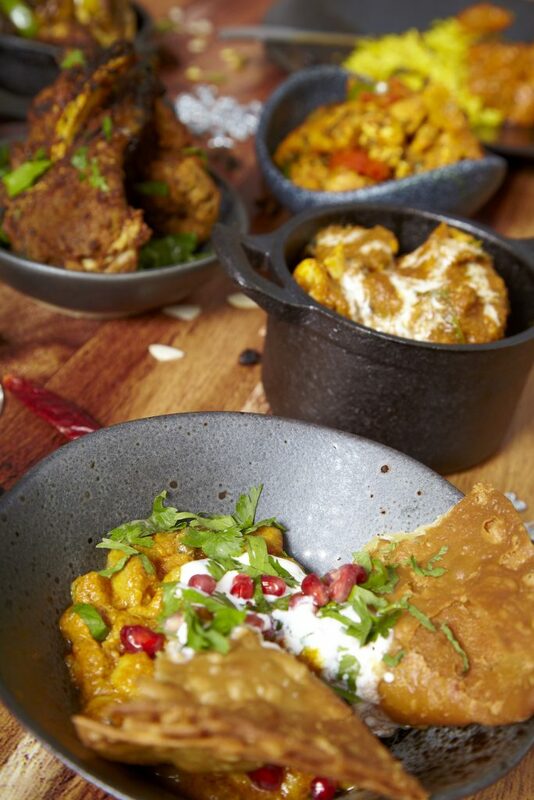 For meat eaters, the £20 per head menu includes favourites such as Seekh Kebab for starters and Chicken Tikka Masala amongst the choices of mains. 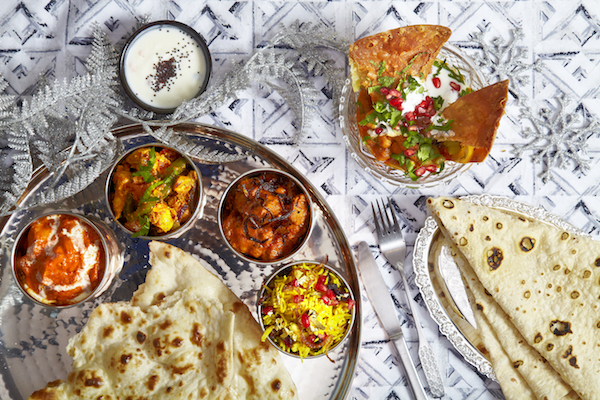 For £25 per head, diners can expect Railway Curry and Saffron Chicken with the world’s most expensive spice or for £30 per head the premium dishes also include starters of Prawn Pakoras and main courses include Red Goan Chicken and Lamb Nihari. 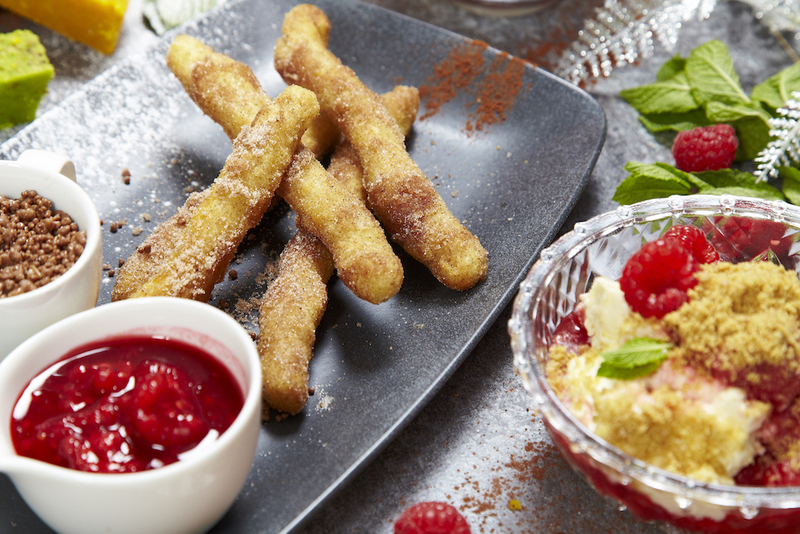 All Christmas Party Banquets will be finished off by a selection of desserts to complement your meal. Try a festive treat of a traditional Mumbai Mess or Desi Donuts with an Asian twist for a little indulgence. If your want to ensure your Christmas party has plenty of festive cheer then we have a range of drinks packages available including beers, wines and something sparkling. Try adding fizz to your evening with a Prosecco reception at £4.50 per person. A cool, crisp bottle of house wine will be waiting at your table at £12 per bottle. A Bottle of prosecco to greet your guests is £15 per bottle. Get the party started with 10 x 330ml Cobra for £25. Make sure you pre-book your package ahead of your party. Why should you slave away on Christmas Day? Instead book in for a special Christmas Day Banquet (£30) which is too good to miss out on! Available all day on Christmas Day you’ll be greeted by a glass of Prosecco and enjoy a six course meal including a roasted Leg of Lamb and a Chicken Berry Biriyani. Zouk’s Gift Cards are the perfect option for the food lovers in your life. 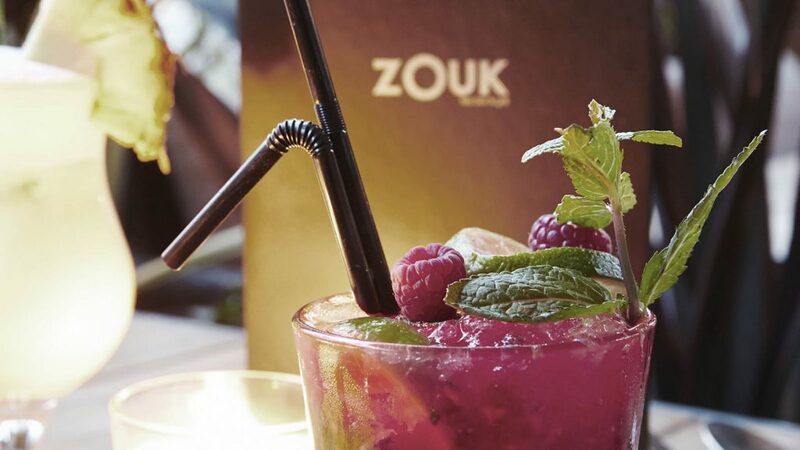 A Zouk Restaurant Gift Card can be redeemed against any meals booked in the restaurant over the next year, so lots of time for your friends and family to spend their gift. 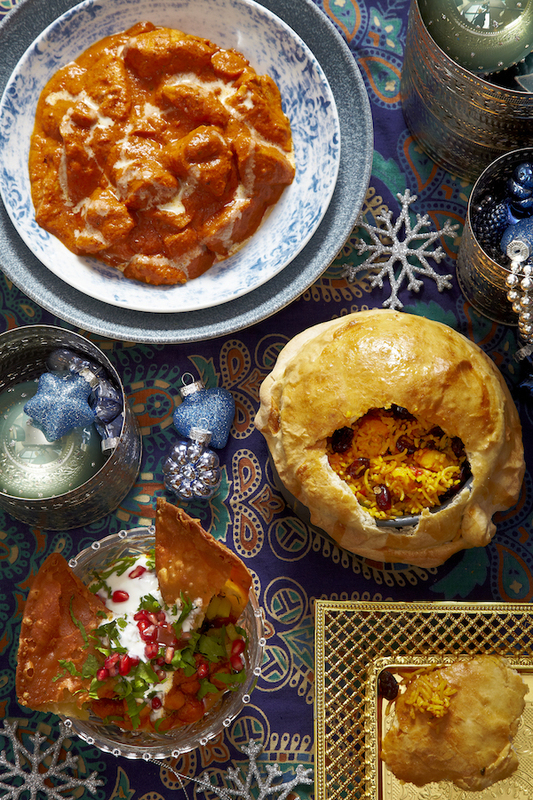 Zouk’s Cookery Class Gift Card is for those who enjoy a more hands on approach and you can book that special person in your life onto one of Zouk’s Cooking Classes to learn the art of authentic Indian cooking. The Christmas tiffin menu and the Christmas Party Banquets are available throughout the whole of December 2016. Zouk is also open all day Christmas Day but places are limited so book early to avoid disappointment. To book call Zouk Manchester on 0161 2331 090.